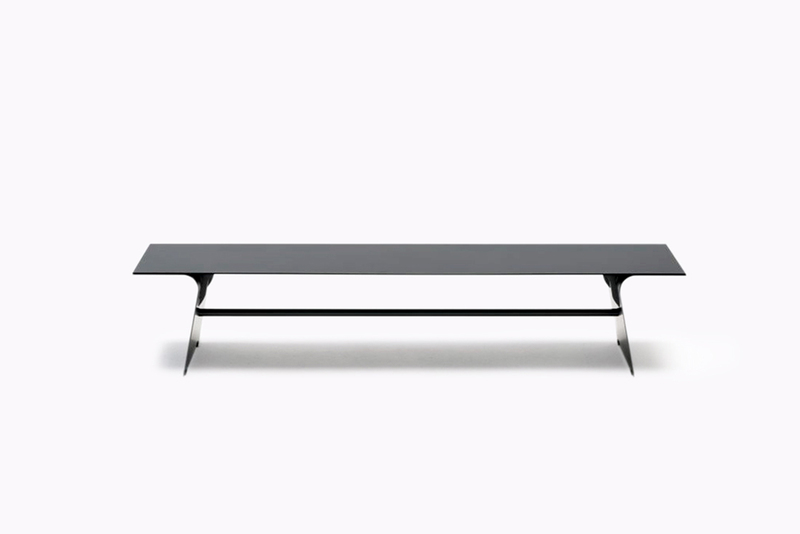 Inari bench is the evolution of the desk designed last year for Living Divani. It is a mono material and strict project in which the challenge was to search for a deep simplicity and logic composition together with a recognizable and poetic sign. Made of metal strips, its construction achieves maximum stability with a minimum of structural elements. A piece of furniture that can perfectly live in a domestic interior as in a museum space. Distinguished by its archetypal form and balanced proportions it’s appearance summons up an abstract image of the Torii portals of Japanese Shinto temples.